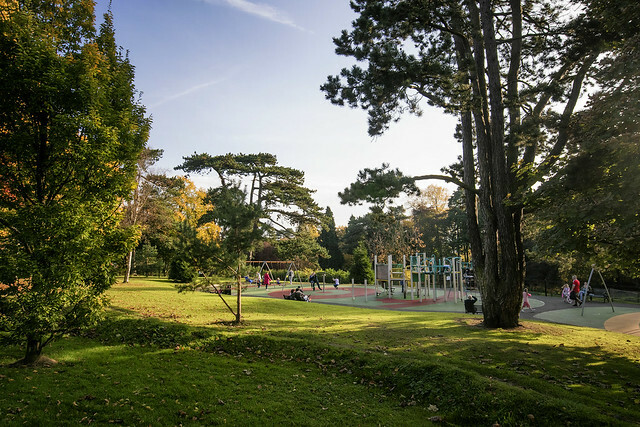 In 2012 we agreed to redevelop Falls Park to bring together and co-ordinate a range of projects to improve the park, the City Cemetery and the Whiterock area. The projects will offer better facilities for the community and make these areas more attractive, safe and welcoming for everyone. The masterplan will see a total investment of around £6 million in this area. New community garden at Whiterock Leisure Centre. We have also received funding from the Heritage Lottery Fund to conserve the heritage of the City Cemetery. 3G Hybrid Pitch and changing pavilion. We will erect a permanent memorial at Plot Z1, also known as the ‘Baby Public Plot’, in the City Cemetery. The memorial will be in memory of up to 8,000 bodies buried on site, many of whom are stillborn babies or those who died shortly after birth. As part of a wider consultation process, we set up a focus group to help inform decisions taken by our elected members around this project. Following a tender process we have appointed a sculptor to design and produce the memorial for Plot Z1. With the support of the focus group, we then developed an outline design. We ran an online questionnaire to gather views on the proposed design from 3 July to 31 August 2018. All consultation feedback was analysed and reported through our committee and council process for approval. Approval was granted in January 2019 and work is underway to hand carve the memorial. It is hoped that the memorial will be in place by mid 2019. We will continue to provide updates through social media and on this web page throughout this time.